Cheryl over at Twinfatuation hosts this one. Go on over to see who else is playing – and join in too! This one comes from 1983. I was in the 3rd grade and had just switched from a private school that closed (the teachers decided to get a divorce) to the public school. 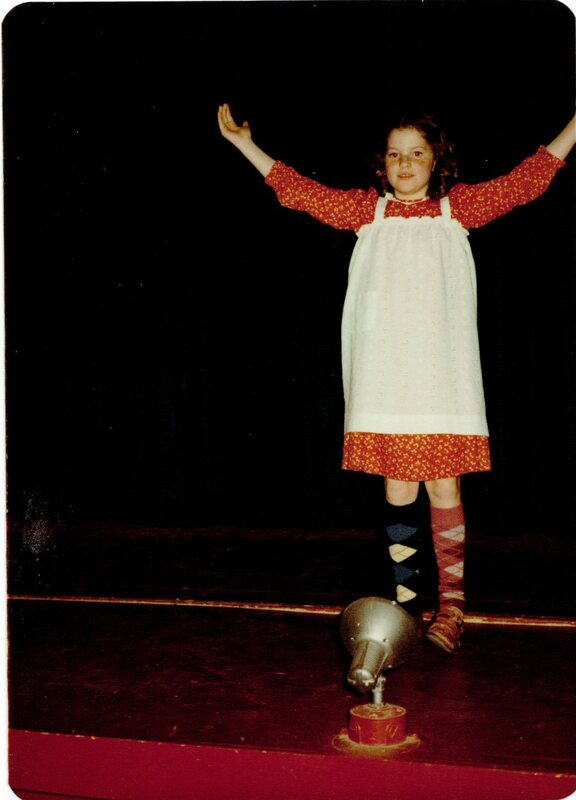 A few things happened to cast me as Annie in the school musical of the same name: one of my private school teachers ended up being the music teacher at my public school, so she knew me; and the person who was originally cast as Annie moved away. GIRL! Look at your mismatched, hard-knock life socks! Love your performance stance, too. Your kids will SO love this story….I sure did! Thanks for playing along with Way Back When-esday so wonderfully, Nancy!